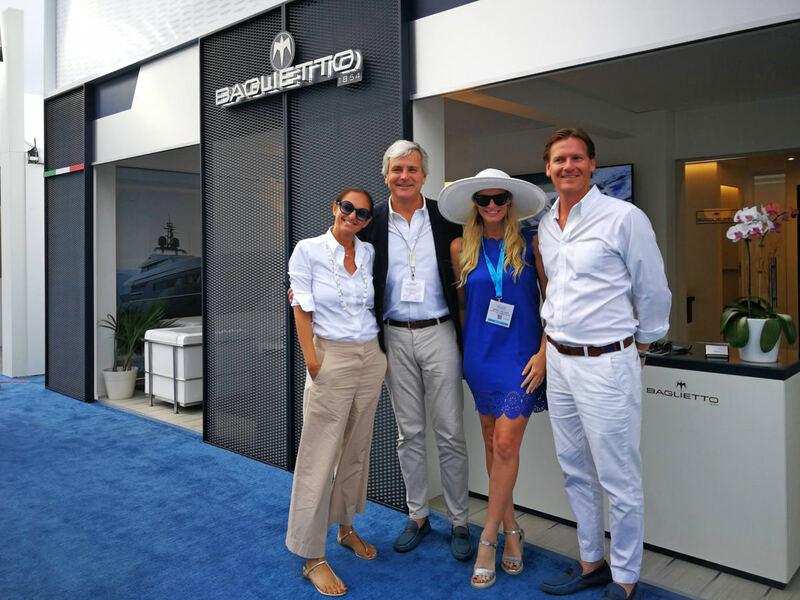 The Baglietto team was out in force at the spring and autumn boat shows. 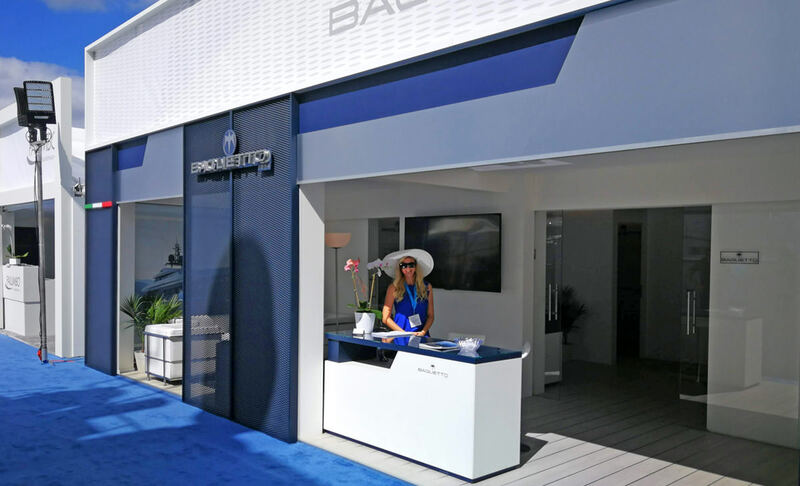 The first appointment on the busy international calendar was the Versilia Yachting RendezVous (10-13 May) in Viareggio, where the Flying Seagull brand also inaugurated a brand new stand design. Baglietto had no fewer than three superyachts moored in Viareggio’s marina: 46m Lucky Me, 48m Andiamo and 43m Pachamama – all designed by Francesco Paszkowski. Not forgetting the MV13, as well 50m Elsea and 35-foot Moppie by Baglietto’s sister company’s CCN and Bertram respectively. Next up was the Cannes Yachting Festival (11-16 September), where 48m hull #10228 (Silver Fox), the steel and aluminium sister ship to Andiamo, was making her debut as the largest yacht in the show. The new 48m T-Line superyacht, now christened Silver Fox, was also the star of Genoa Boat Show (20-25 September) and Monaco Yacht Show (26-28 September). 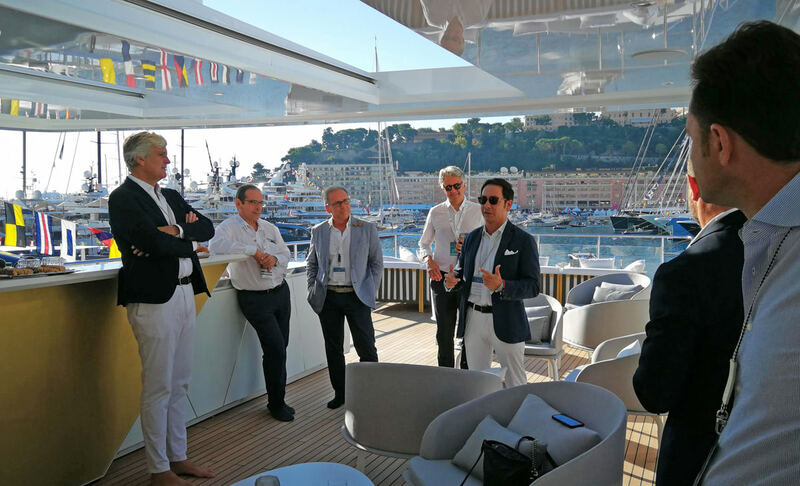 In Monaco, Baglietto held a press conference to present two new and exciting projects: a distinctive 65m design by Francesco Paszkowski and a handsome 43m explorer by Milan-based studio Santa Maria Magnolfi, which you can read all about in this issue of our LOGBOOK. 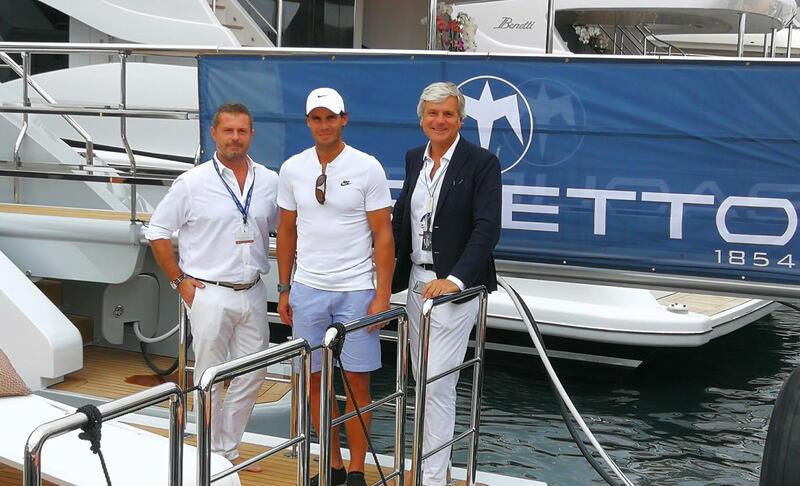 After Monaco, we crossed the Atlantic to Florida for the Fort Lauderdale International Boat Show (30 October-3 November) with a revitalised product range, a new office in Florida and a development strategy that sets clearly defined objectives, which focus in particular on the U.S. market. During the boat shows in Cannes, Genoa and Monaco, Baglietto was supported by iconic brands that share our passion for excellence and Italian style. From wellness to haute couture and interior decor to famous Italian wines and spirits, these proud partners included top brands Moreschi, Bagutta, Marcorossi Arte Contemporanea, Michela Nicoli, Boutsen Design, Technogym, Marchesi Antinori and Campari. Moreschi, the luxury shoemaker, provided a stylistic complement aboard Silver Fox where the owner’s wardrobe was filled with its luxury leather footwear, along with made-to-measure shirts by partner Bagutta. Both brands are synonymous with the finest traditions of Italian tailoring. From haute couture to art, the partnership with the Marcorossi art gallery continued with paintings by international artists like Arcangelo, Shafik, Barnils and Velez decorating the interior of Silver Fox. 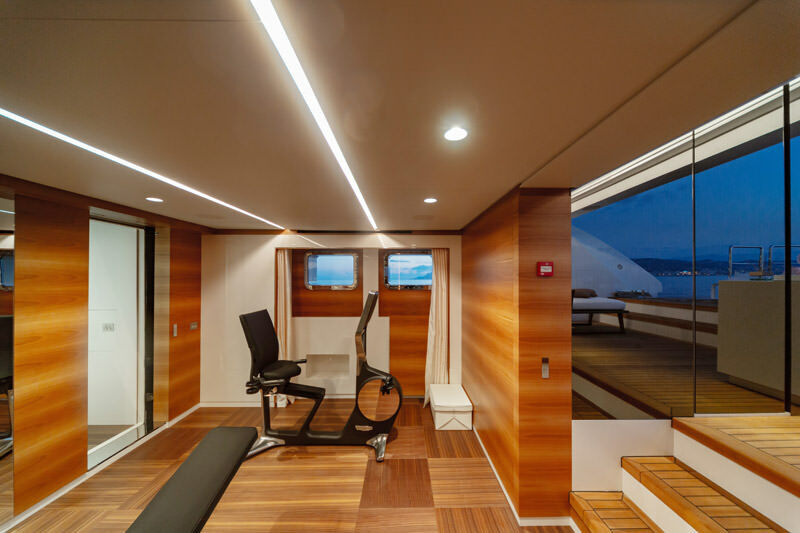 And from art to wellness, the gym was fitted with chic fitness equipment designed by Antonio Citterio and supplied by Technogym. 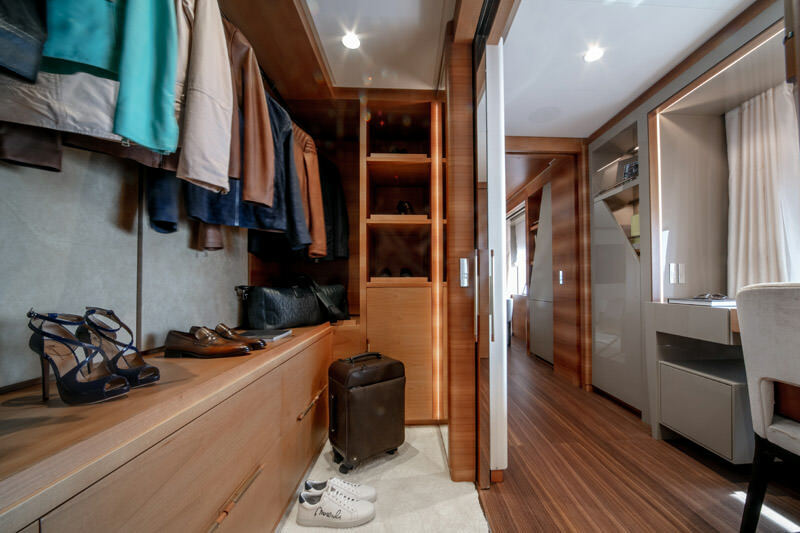 Michela Nicoli, another example of Italian excellence, joined with Baglietto to provide the new 48m yacht with the finest handcrafted Italian linens, including bed sheets, beach towels and bath accessories, while the onboard décor was overseen by the Monaco-based Boutsen Design. 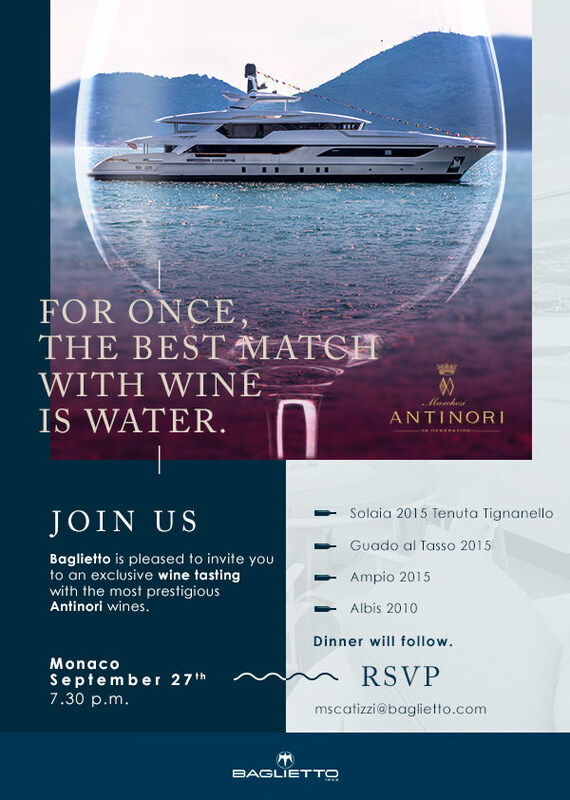 Last but least, our ongoing partnership with Marchesi Antinori provided an exclusive opportunity to taste the Tuscan winemakers fine wines in Monaco, while Campari served Happy Hour cocktails during the glamorous gatherings organised by Baglietto on the French Riviera. At the end of last year, the Baglietto shipyard was awarded ISO 9001:2015 certification by RINA, the result of ongoing investment in human resources and management processes. 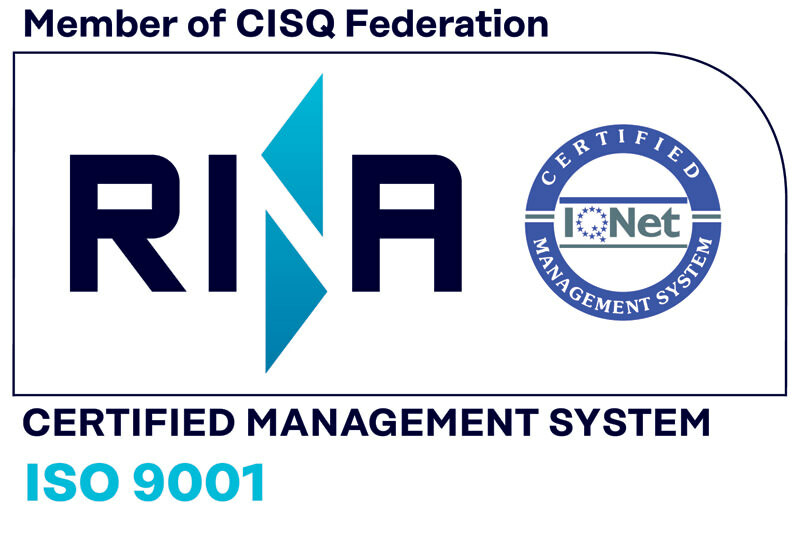 ISO 9001 is the international standard for Quality Management Systems (QMS) that accurately document processes, procedures and responsibilities in order to achieve quality policies and objectives.